In addition to breed predilection, there appears to be a genetic link to this disease. The incidence is closely correlated to the depth and the width of the dog’s chest. Contact your vet, don’t wait till dawn! Dogs over seven years of age are more than twice as likely to develop gastric dilatation and volvulus (GDV) or bloat as those who are 2-4 years of age. Also, male dogs have double the risk than females. Neutering does not appear to have an effect on the risk of bloat. Dogs fed once a day are twice as likely to develop GDV as those fed twice a day. It appears that dogs who eat rapidly swallow more air while eating or exercise soon after a meal are at a greater risk. It is also seen that dogs fed on high carbohydrate diet and fast fermenting food are highly prone to this extremely serious condition. Dogs who tend to be more nervous, anxious, or fearful appear to be at an increased risk of developing bloat. Gas puts pressure on the other organs and diaphragm. Pressure on the diaphragm makes it difficult for the dog to breathe. The air-filled stomach also compresses large veins in the abdomen, thus preventing blood from returning to the heart. The spleen enlarges due to venous engorgement and becomes huge. Filled with air, the stomach can easily rotate on itself like a balloon, thus strangulating off the blood supply. Once this rotation (volvulus) occurs and the blood supply is cut off, the stomach wall begins to die and the entire blood supply is disrupted. The animal’s condition begins to deteriorate very rapidly. Tap the stomach of the dog, when he is in great discomfort, it may sound like tapping an air filled balloon. The eye mucous membrane turns blood shot and you can see thick blood vessels of the eye. The dog starts panting heavily and paces up and down restlessly. Other symptoms include non-productive vomiting (animal appears to be vomiting, but nothing comes up) and retching, abdominal pain, and rapid shallow breathing. Profuse salivation in strings may indicate severe pain. If the dog’s condition continues to deteriorate, he will become pale, have a weak pulse, a rapid heart rate, and eventually collapse. Your veterinarian will first stabilise the dog by putting intravenous catheters and administer calculated amount of fluids required as per the size of dog. He will also give him antibiotics, antihistamincs and corticosteroids, besides monitoring oxygen perfusion. He will also decompress the dog first if the stomach distension is so much that the dog can’t breathe; either by passing a stomach tube or inserting a large needle bore into the stomach and releasing the gas. After the animal is stabilized, X-rays will be taken to help determine whether or not a volvulus is present. Some dogs develop disseminated intravascular coagulation (DIC), in which small clots start to develop within the dog’s blood vessels. To prevent or treat this condition, heparin, an anticoagulant will be given. The vet will also monitor the heart rate and rhythm. Some dogs with GDV develop heart arrhythmias, and this is a common cause of death in dogs with GDV. Dogs who already have a heart disease or are prone to heart arrythmias are generally treated with appropriate medications. To assess the health of the stomach and surrounding organs, this depends upon how much time has passed on. If areas of the stomach or spleen have been irreversibly damaged or necrosed, then a splenctomy is performed. In such a case, the chances for recovery are very poor. After stomach repositioning, stomach content evacuation is done and rinsed several times and checked for any Pyloric obstruction. Gastropexy is performed i.e. Suture (fix the stomach to the abdominal wall in a way to prevent it from twisting again. 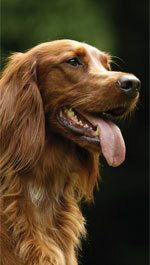 If gastropexy is not performed, 75-80 percent of dogs will develop GDV again. Post-operative care involved is for 5 to 6 days extensive fluid therapy, antibiotics and protein supplementation. Start feeding after 36 hours of surgery since once the dog starts eating, the recovery is faster.